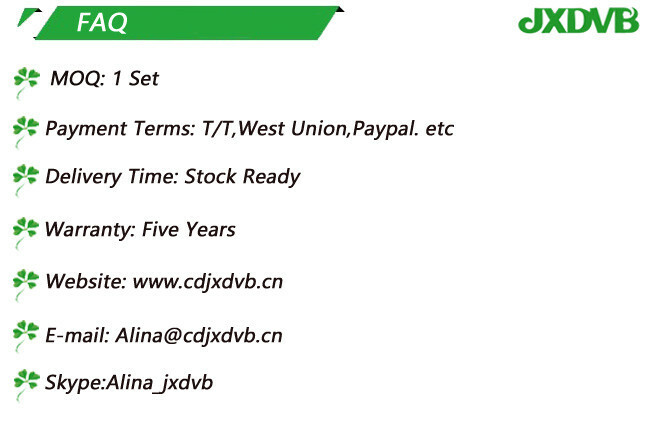 You can contact Alina skype:Alina_jxdvb for further information. 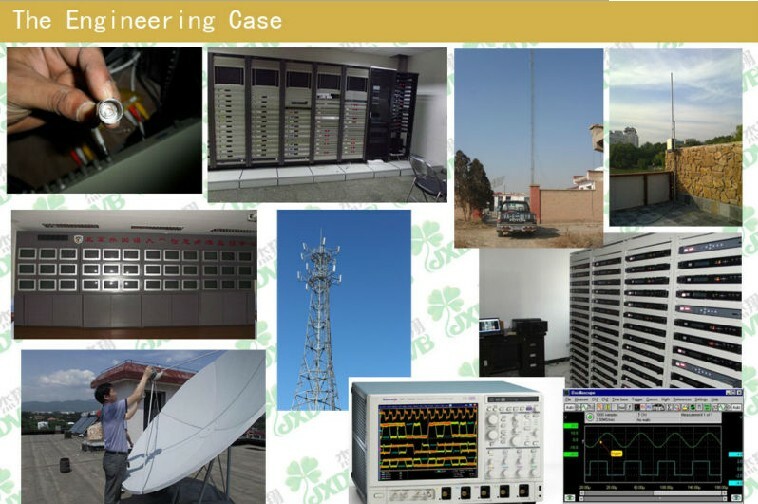 which is especially adequate for the new generation IP CATV system. die when its backbone multiplexing board fails, the 3 daughter cards are completely independent of each other. the reliability of the equipment has been greatly improved. 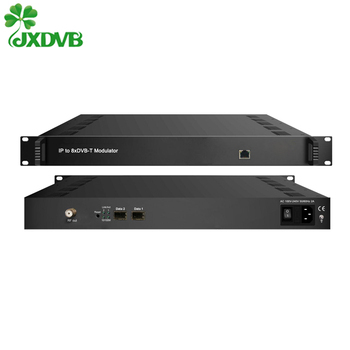 can not only be used as one IP mux-modulating DVB-T module, but also be utilized to realize other purposes by its IP output function. The IP data output is the loop output after multiplexing. 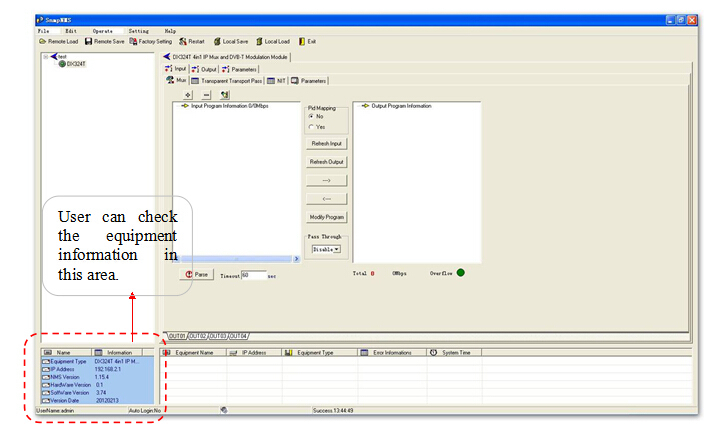 For example: An operator has one general DVB-T head-end and two sub-head-ends. 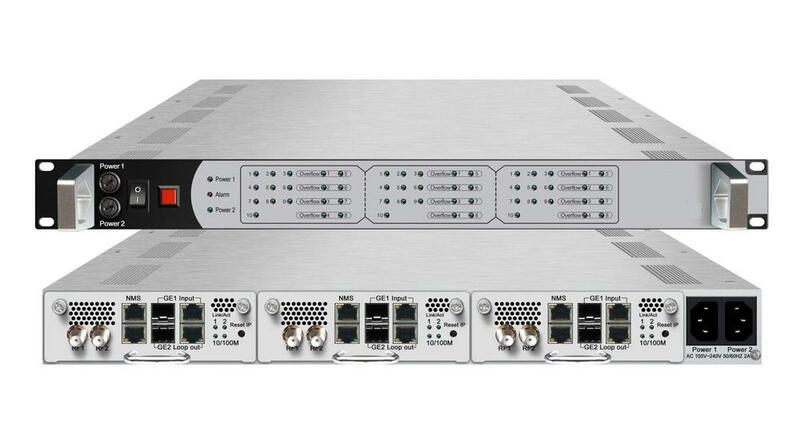 At the Main head-end, operator can directly transmit the ’s COFDM RF output to the local HFC network, while at the sub-head-end side; the IP input of the IP DVB-T head-end can directly extract the multiplexed and scrambled IP TS from the ’s IP output via a fiber link. In this case, cards can be utilized to provide a perfect solution for signal transmission so as to achieve high-efficient transmission and cost control. card of single master plug-in equipment is disabled won’t happen. NOTE: If needed, we can also make another version that 3 modules in 1 U chassis can be managed by one NMS interface. The functions of multiplexing, modulating and IP output can be totally supported by just 1 card. so as to ensure the stable reception and transmission of video/audio signal. 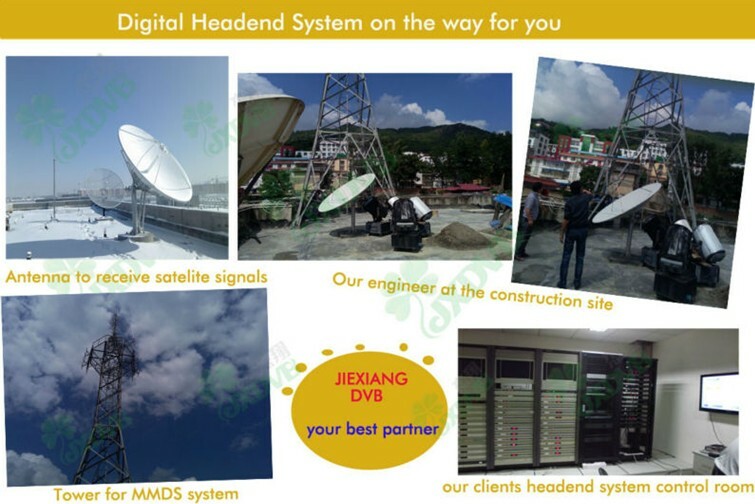 we are a professional high-tech enterprise and have been specialized in digital headend system,such as MMDS system,DVB-C system,DVB-T system and so on. 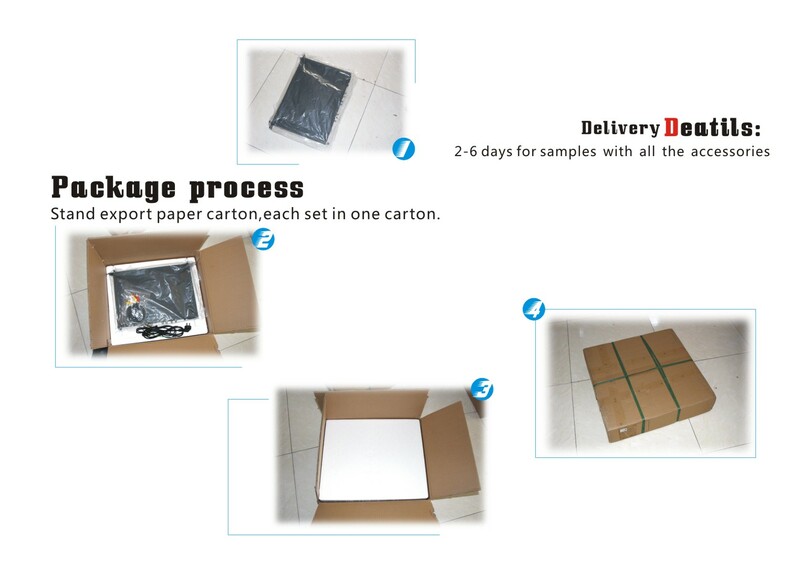 We also have rich experience in OEM/ODM operation with large quantity. 1.Reply your enquire within 24 hours. 2.Professional technology team to make Digital system(DVB-C system,DVB-T system,DVB-S syetem,IPTV system)diagram for your project. 3.Professional after-sales team to solve your issues when faced. 2.Rice experience of Digital TV headend project. 4.Widely application situation,such as Bars,College,Hospital,Monitoring system and so on. 5.Excellent quality,Fastest deliverly time,Best service. Q: First time import, how can I believe that you would send product ? Western Union, Bank Transfer and so on . we or ship company will take the responsibility. or add me on skype: Alina_jxdvb. I'll give you detail instruction. We are a professional digital broadcasting system equipment manufacturer in IPTV system,DVB-C,DVB-T/T2 system and DVB-S/S2 system. With 15 years CATV experience and professional Reserch Team,Jiexiang become the DVB leader in Chengdu,China. The similar digital products recommand for you: single MPEG4 Full HD encoder,8 in 1 Full HD encoder H.264,MPEG2/H.264 Full HD encoder, SD MPEG2/H.264 encoder.